Remember when the Dance Dance Revolution film was announced back in October? Did you think it couldn't get any weirder? 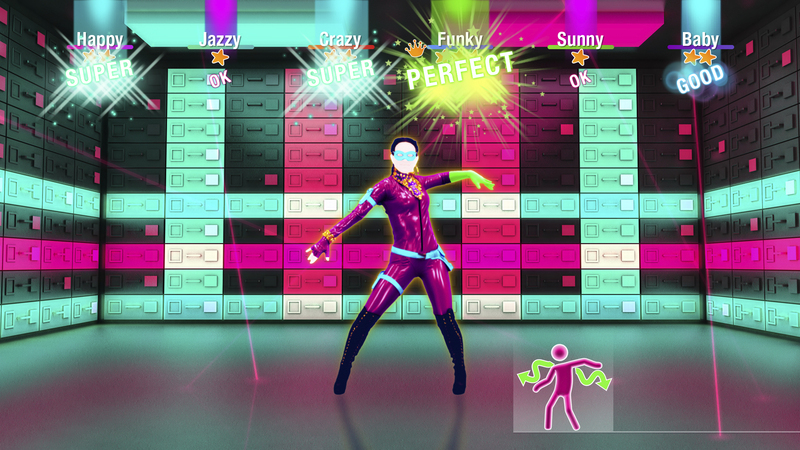 Apparently it can, as plans are now in place for a Just Dance movie adaptation. I guess Hollywood's superhero well is finally starting to dry up. According to an article by Deadline Hollywood, the company that successfully acquired the rights after a "competitive bidding" process is Screen Gems, a subdivision of Sony. The film itself is being produced by Ubisoft Film and Television along with Olive Bridge Entertainment - the former of which produced the 2016 Assassin's Creed film. Here's the Rotten Tomatoes page for that one. Make of that what you will. There appear to be two main reasons driving this decision. Firstly, Just Dance is a ridiculously successful music game franchise - the most successful of all time, according to Ubisoft. The second reason is that, as Deadline Hollywood highlights, Sony is currently looking to invest in properties that perform well across multiple platforms: be it video games, film or music. Just Dance technically hits all three of these, as many of the artists featured in the game (such as Shakira, Pharrell Williams and Camila Cabello) are also signed by Sony. Welcome to global entertainment conglomerates 2019. Personally, I'm not entirely sure how they're going to make this film resemble anything close to the game, and I suspect it may end up as another regular dance film à la Step Up. More importantly, I'm not sure it can top the ambitious planned storyline for the DDR film, which will "explore a world on the brink of destruction where the only hope is to unite through the universal language of dance". But then, can anything?